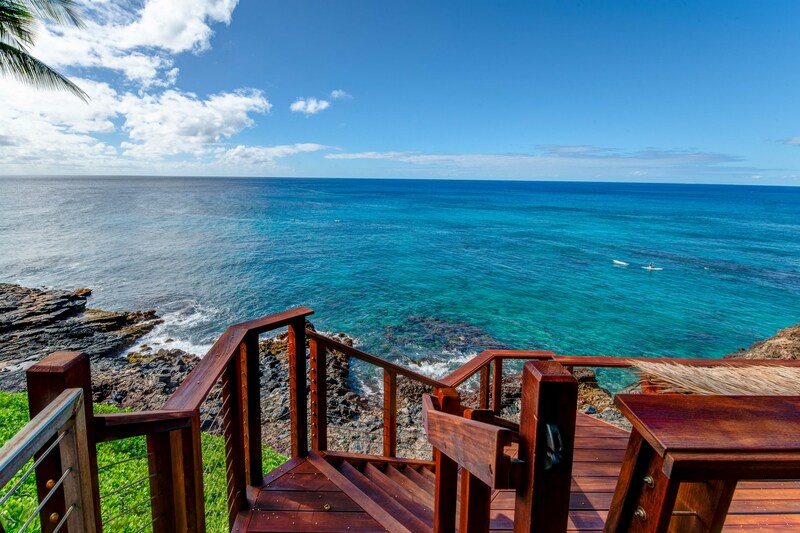 Part of the intimate Poipu Palms condo community, this tropical property stuns with incredible ocean views. 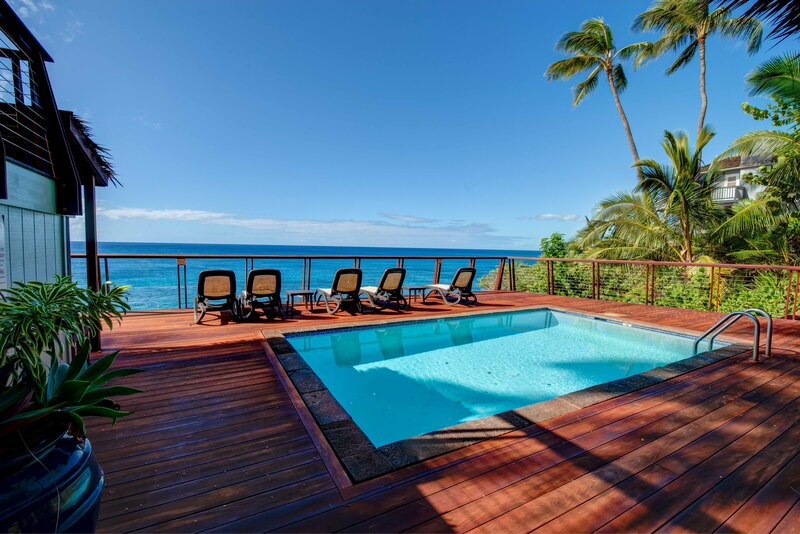 Out on the private lanai, gather with your ohana to sip on a cool drink and let the ocean breezes lull you into complete relaxation mode. Whip up meals in the fully-equipped kitchen with the stainless-steel Kenmore Elite appliances. The open, practical layout allows the cook to move around with ease and still be part of the action. 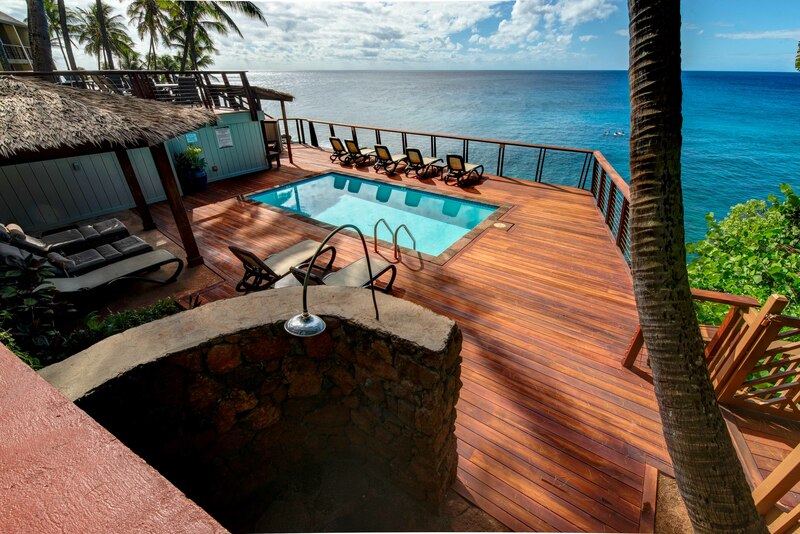 Open the doors to the lanai and let the outside into the cozy living room. Lounge on the L-shaped sectional as you flip through the channels on the 42” flat-screen, top-of-the-line TV with cable. Gather around the glass-top dining table for family game nights, with the ocean as your backdrop. Dream of the next day’s tropical fun in the master bedroom’s king bed, outfitted with sumptuous linens and bedding. Black-out shades let you enjoy valuable extra sleep. In the flexible guest room, two twin beds can be converted to a king bed. Both bathrooms are outfitted with Italian marble for an added touch of class. 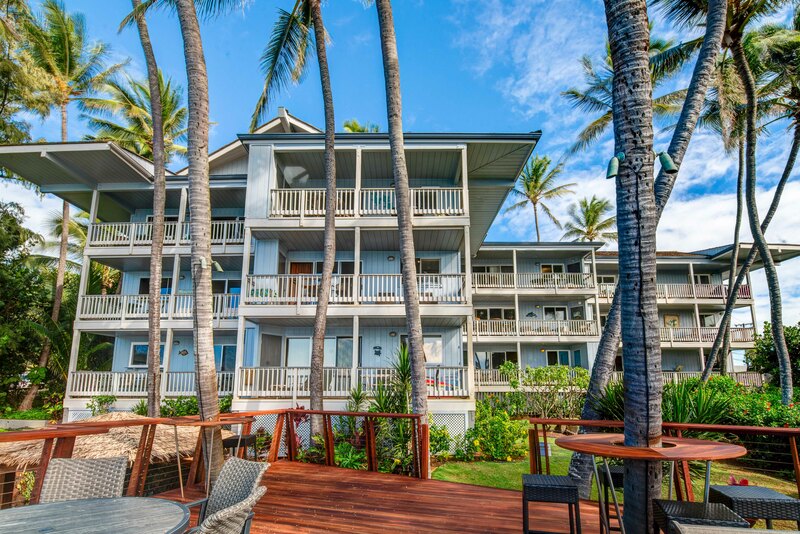 Poipu Palms is located on Kauai's beautiful South Shore. 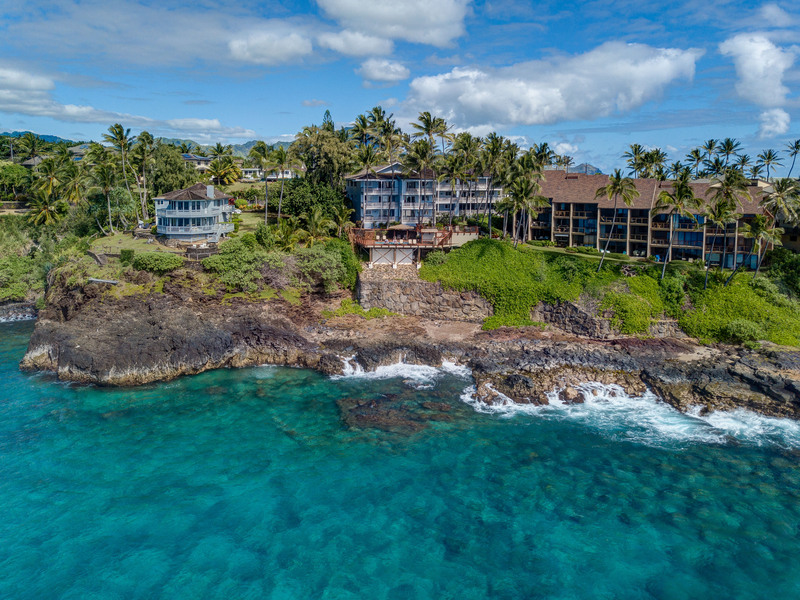 Perched on the edge of the magnificent Poipu coastline, this intimate resort is home to just twelve oceanfront Kauai condos and features stunning views as well as a dramatic coastline swimming pool, sundeck and BBQ. 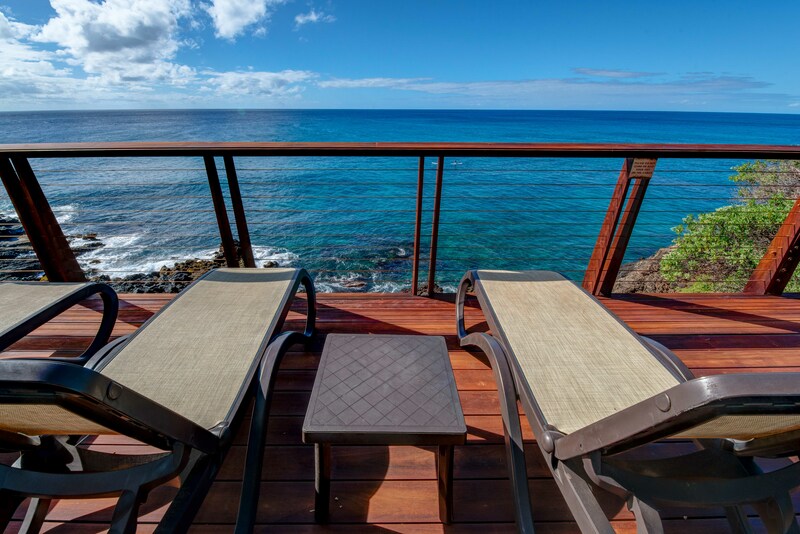 Awaken to the sounds of the sea, watch sea turtles, dolphins and seasonal whales from your lanai, and enjoy spectacular Kauai sunsets, tropical breezes -- all from the comfort of your Kauai vacation home. 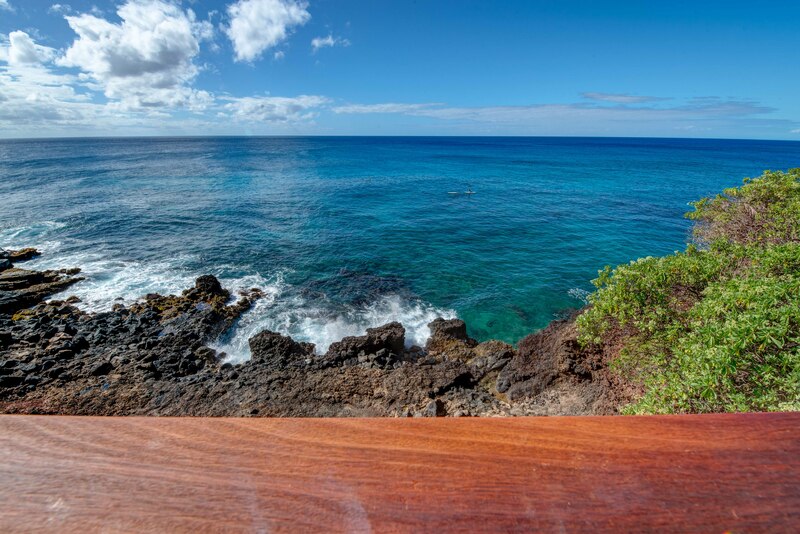 World famous Poipu Beach and Brennecke's Beach are just a five-minute walk from Poipu Palms. 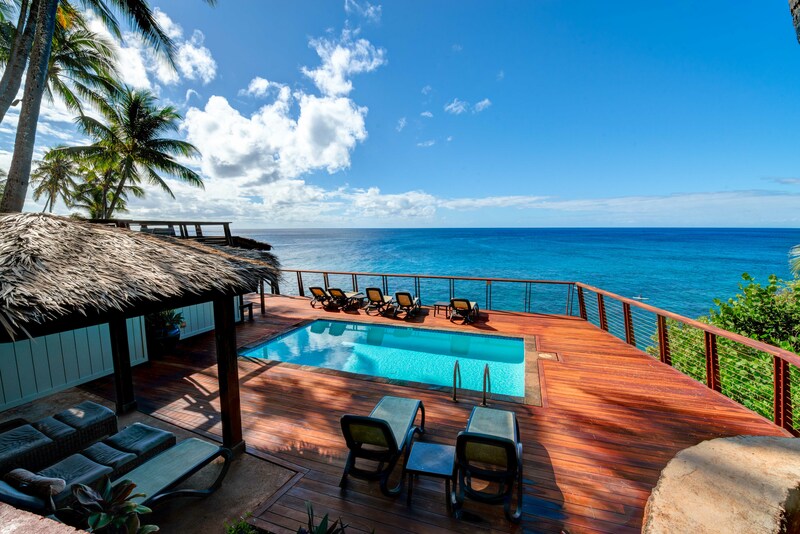 This award winning tropical playground offers snorkeling, body boarding, surfing, picnicking, swimming and relaxing all year round in sunny Poipu. Poipu Beach also has a large grassy park with children's play area, showers, bathrooms, restaurants and shopping.